(Chicago – 9/14/2018) It took less than 1.5 hours for a jury to return a unanimous verdict tonight in favor of our clients against an insurance company for refusing to pay the full insurance policy coverage amount after their award winning 1970 Chevy Chevelle show car was stolen at a national car show. The spectacular car was valued at over $100,000. Over the course of five years, the insurance company never offered our clients one penny to settle the claim. After a four day trial, the parties reached a confidential settlement on all issues. DISCLAIMER: While our firm has had success for many clients, all cases are decided on their own merits. 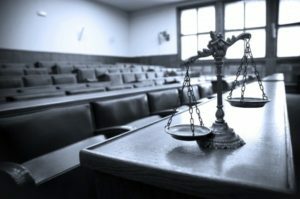 Judges and juries decide the outcome of cases, not lawyers. This blog post is not legal advice and should not be relied on by anyone as legal advice in their particular situation. Furthermore, while DeBlasio & Gower welcomes communications via its website, please be aware that communicating any information to DeBlasio & Gower LLC or any of its attorneys through its web site or via any other method without a formal engagement with the Firm does not constitute or create an attorney-client relationship between you (or any other users, senders or recipients) and DeBlasio & Gower LLC or any of its attorneys. Thank you.